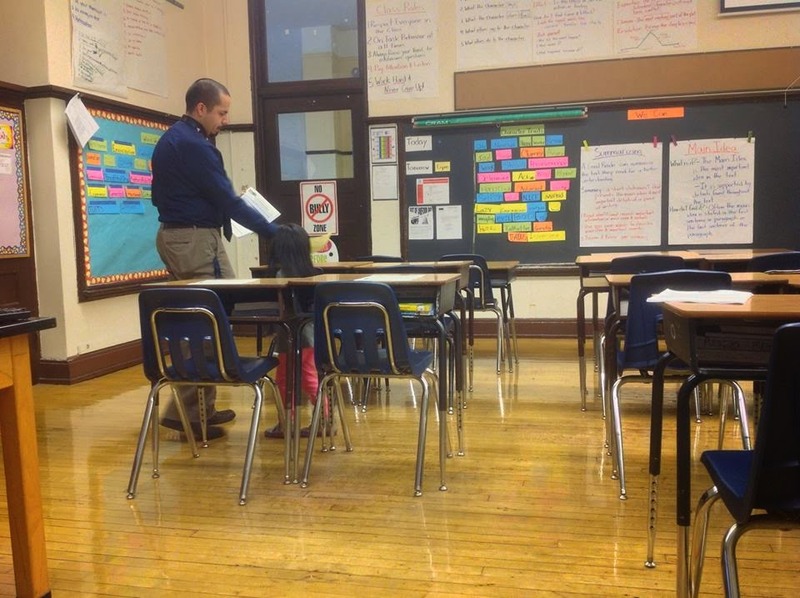 It's been over a week since my last day with my students and I didn't know how to share it with you. If you remember from my previous post, I was not renewed for the following year and I haven't even told my students about it. I decided that I would tell them on this day, but as soon as I arrived to school some students were asking me if what they heard was true. I knew at that moment this was going to be a long day. I did not play with LEGO's that much when I was little, but I do remember stepping on a few pieces every now and then. What I do remember about the lego sets that I had is sitting there for hours trying to make something different each time and just feeling good about my creations. Watching stop motion mini-movies with LEGO's I never imagined that one day there would be a full length movie, but with today's technology Warner Bros. have done just that. With the movie just released this week on Blu-Ray and DVD Fandads has teamed up with Warner Bros. to give one of our readers a copy of the movie. Keep reading to see how you can win a copy of The LEGO Movie. There is always a shirt for first place. The winner is always lauded on shirts, cereal boxes and loved by everyone. What about for the runner-up? Are there any shirts for them? 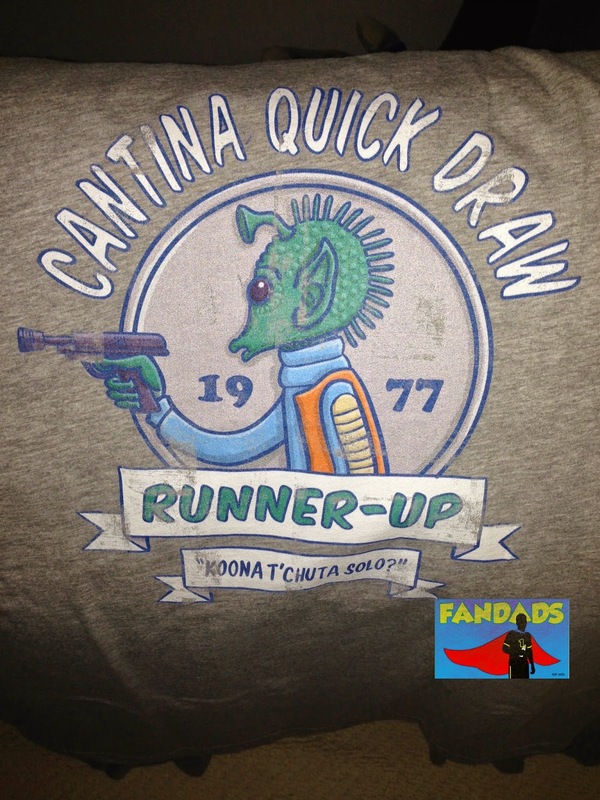 Well, when you go against Han Solo in the Cantina Quick Draw we all know who shoots fastest. Sadly, this runner up will not be able to wear his shirt in public...maybe at his memorial. Today's T-Shirt comes from our superb friends at We Love Fine. The great thing about their shirts are that they are "designed for fans by fans". Not only does We Love Fine have great Star Wars shirts, but they have awesome products from Adventure Time, The Last of Us and Tokidoki. Visit them today and buy a shirt or two, but you better hurry becuase you don't want to be the runner-up. With Father's Day a few days away, you might be thinking to yourself, " What do I get the Fandad in my family?" Well, have no fear. The Fandads are here to help you out with a few suggestions for that hard to buy dad in your life. Now remember these are just a few suggestions and not every Fandad might be into these items, but they are a good beginning in finding that perfect gift. Hopefully, you'll find something on here to make him squeal with joy when he opens his gift. As a dad there are days where you sit back, watch your kids run around and you think one of two things: "How did I get so lucky?" or "He/She is moving and got up off the floor, they'll be ok". It's little moments of reflection like these that start teaching us about what kind of fathers we are becoming and what our favorite moments of fatherhood are. Let's examine a few of mine. Bad vacation pictures...let us see them! Blended Giveaway and contest. Ever go on vacation with your family have a fantastic time and can't wait until you get home to look at all the pictures you took? Now while you are going through all the pictures you come across one that makes you scratch your head and ask yourself "What was going on here?" If this has happened to you, we want to hear about it. 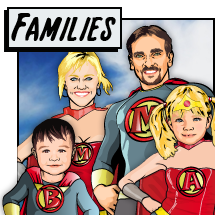 Labels: Adam Sandler, Blended, contests, dadbloggers, Drew Barrymore, Family, fandads, giveaways, movies, Pictures, Vacation, Warner Bros.
Today we have a guest post by Ken Myers from @go_nannies about a great activity you can do with your family over the summer. Being that we are Fandads, we thought that this would be a great article to share with our friends. Imagine making a comic book starring your family. Hopefully this will inspire you to create a comic book and if you do please share with us here and the Fandads community. So without further ado, here is Ken's post. My little girl came to visit me one day. I’ve been writing a post titled “The Overwhelmed Dad” for a while now and I keep putting it to the side, because I don’t want to sound like I’m being whiney about being a dad. While I keep going back and forth with this post, I get ideas for other posts that I would like to write and then something like this happens to me.